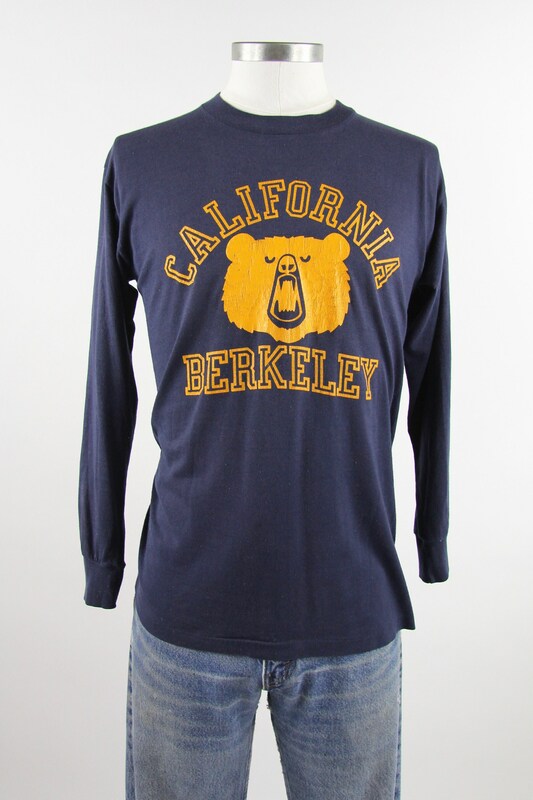 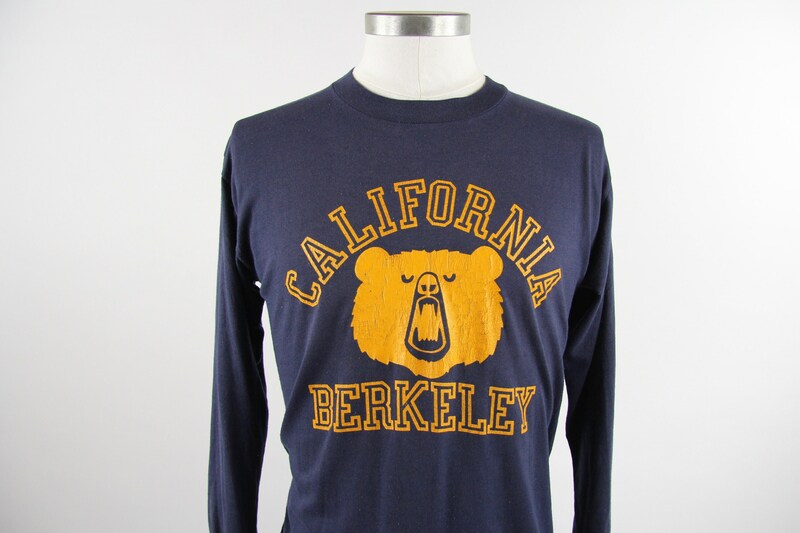 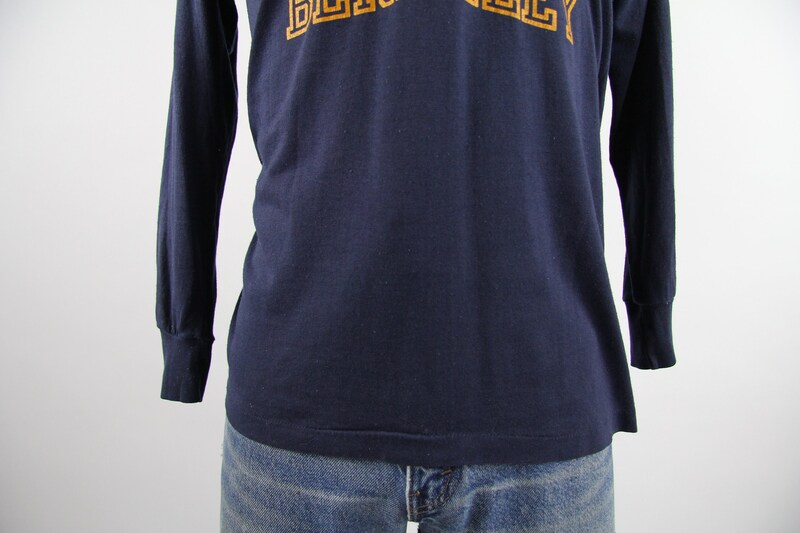 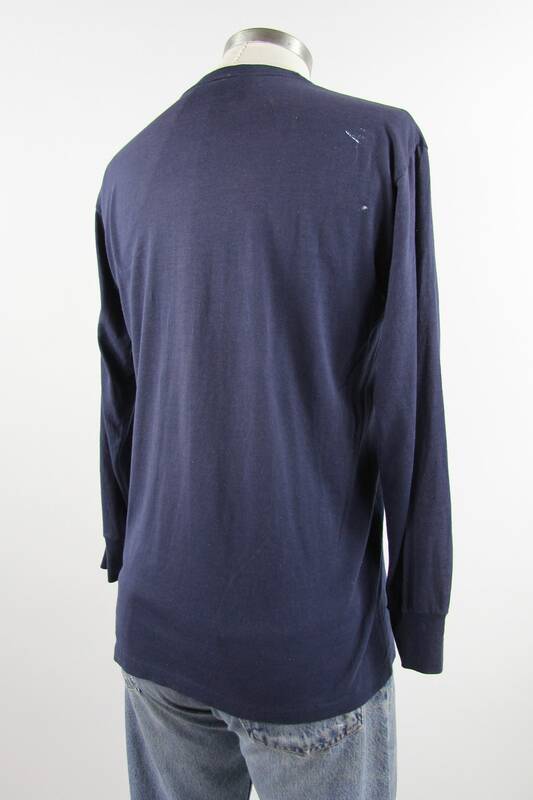 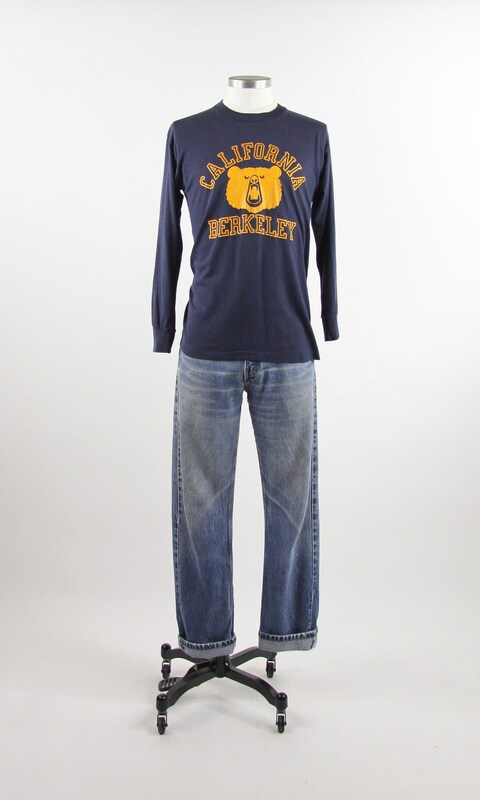 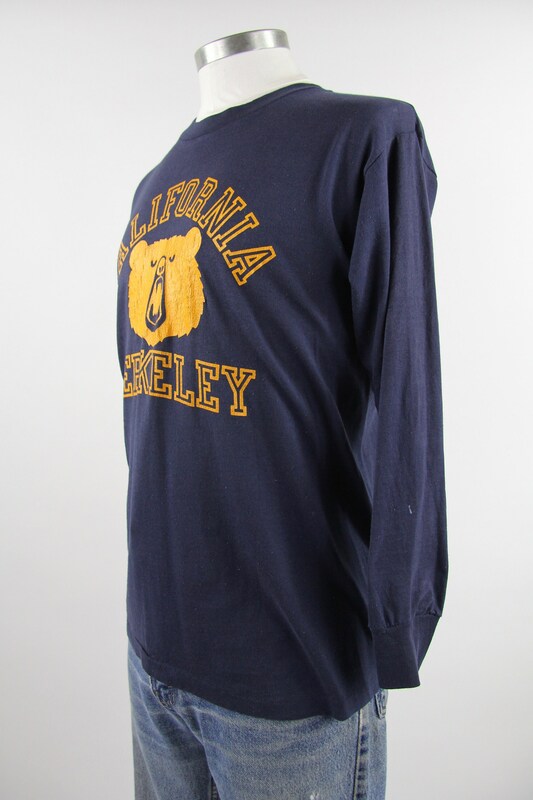 Super soft cotton long sleeve Berkley shirt. 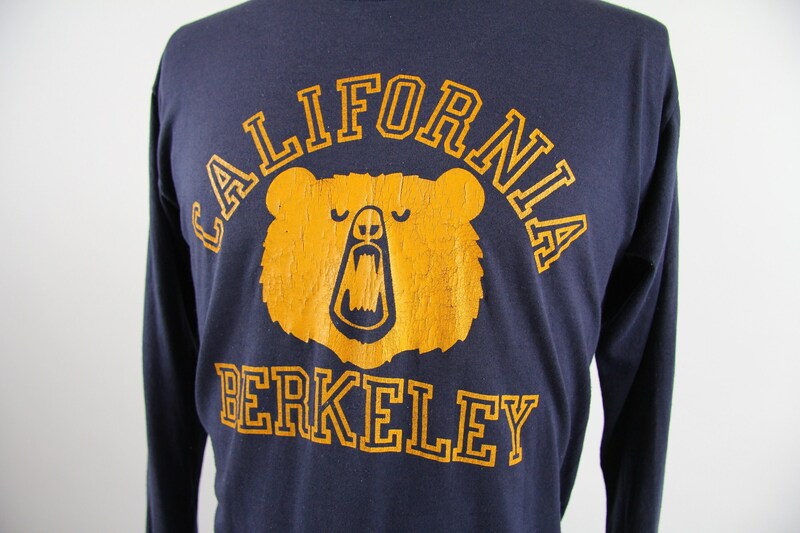 This shirt is in good condition with minor distress. 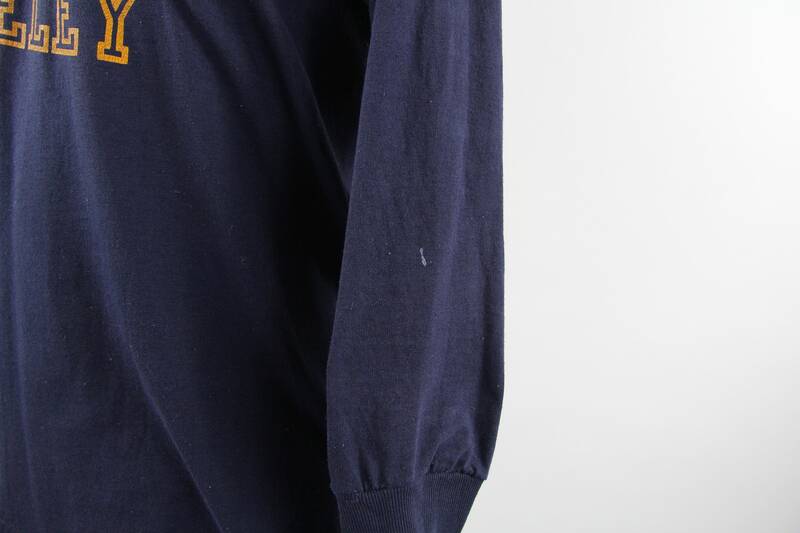 The logo is showing signs of cracking, there is light blue paint on back right shoulder and discoloration around cuffs. 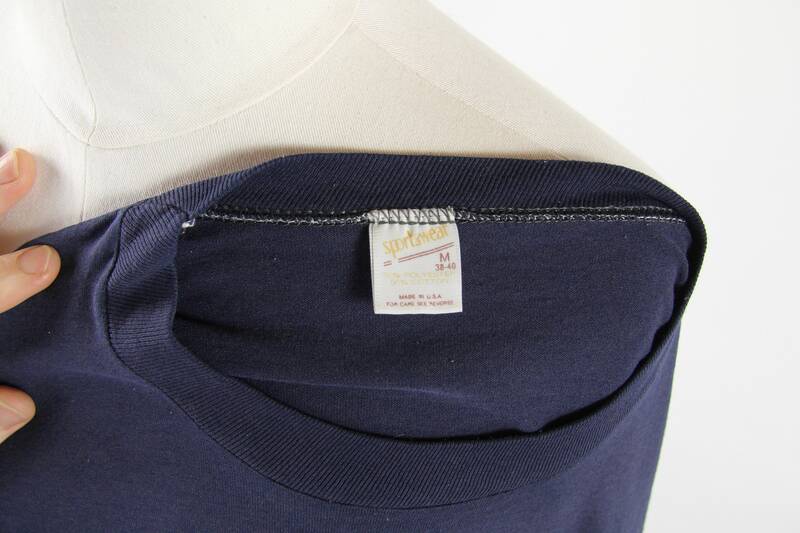 This piece is a 50/50 blend (our favorite) and is Made in the USA! 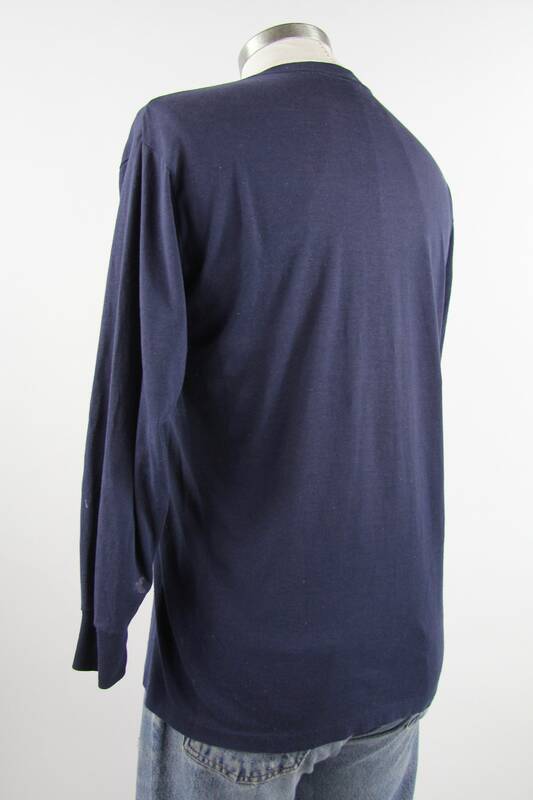 Sleeve from shoulder seam to cuff: 19.5"